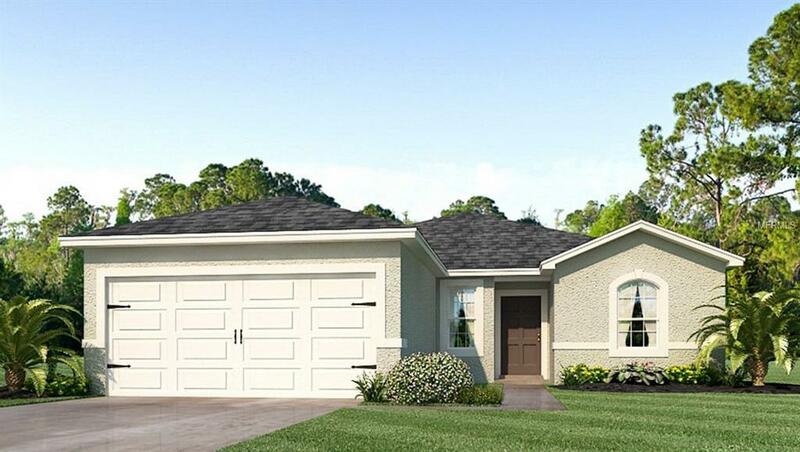 Brand new home in Rapalo located in Venice FL!The HOA, includes all lawn maintenance, community swimming pool and clubhouse. This is a 3 bedroom home, 2 full baths, 2 car garage home that is unprecedented for the price for a home in Venice, FL and within a very short distance to the beautiful sandy beach of Manasota Key. The price includes: 18 x 18 tile floors in living areas, kitchen with granite countertops; all appliances including washer and dryer; window blinds; fully sodded lawns that landscaped with a sprinkler system; designer picture framed wood cabinets; double paned insulated windows; 88 high ceilings; no construction loans necessary AND BEST OF ALL, we take care of all financing! There are too many included features to mention in this house. Give us a call to view today! We offer a ten year construction warranty. Here is a chance to own a Florida home in desirably famous Venice, FL and only a very short distance to Venice Island, where quaint shopping and wonderful restaurants are where every Florida resident loves to visit.